Roger and Judy White of Leitchfield, Ky. (center) met with Kentucky State Police Commissioner Rick Sanders (right) and Lt. Michael Webb, KSP Public Affairs Branch Commander, (left) on Sept. 18 at the KSP Academy in Frankfort to take possession of their new 2017 Jeep Wrangler Unlimited Sahara Winter Edition 4×4. White won the vehicle in the annual KSP Trooper Island Raffle, which raises funds for the agency’s free summer camp for underprivileged boys and girls age 10-12 on Dale Hollow Lake in Clinton County. It is financed entirely by donations, no public funds are used. Each year, the camp hosts approximately 700 children, providing good food, fresh air, recreation, guidance and structured, esteem-building activities designed to develop good citizenship and positive relationships with law enforcement officers. 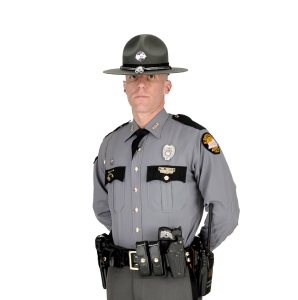 Visit http://kentuckystatepolice.org/island.html for more information.